Her early fascination was with manga, especially the works of artists Yuu Watase, Ai Yazawa and Osamu Tezuka. Born and raised in the countryside of Japan, Kris moved to Hong Kong at the age of nine. She spent two years of high school in New Zealand where she discovered a world outside manga, particularly inspired by the art of Maori tattoos, the imaginative and sometimes eerie works of Dave McKean and Neil Gaiman. 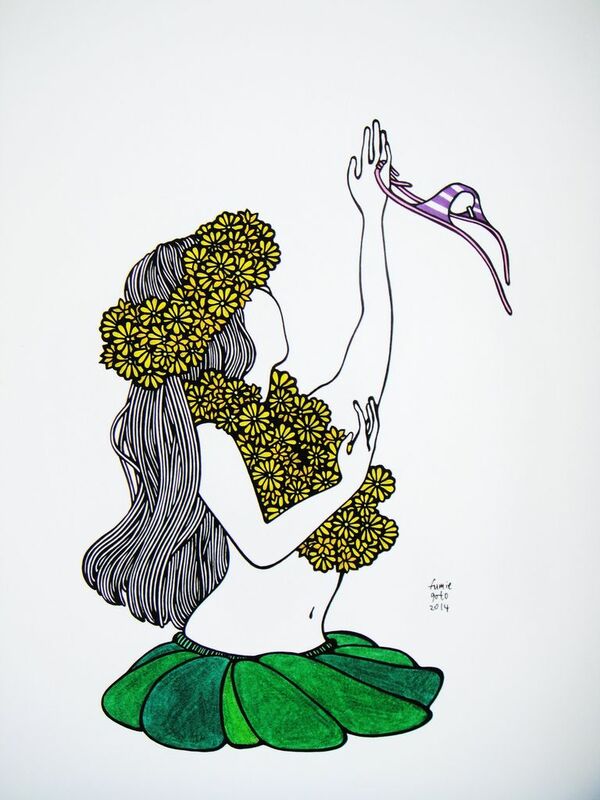 She moved to Hawaii in 2006, and her current focus is surf inspired pen/ink drawings.